MHS is the way of the future in medicine. Equipped with the latest latest in modern technology and digital high-resolution equipment, Med Health Services (“MHS”) is changing the way physicians provide outpatient medicine in the convenience of their own office. 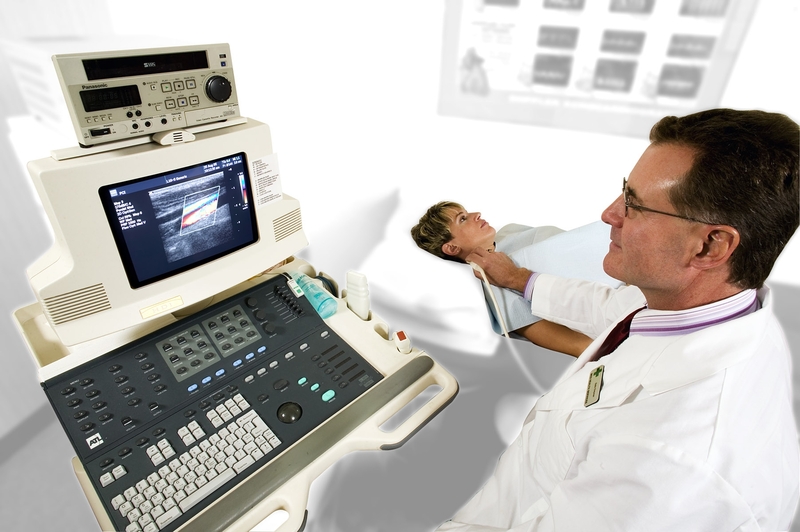 As the largest independent provider in our region to offer in-office ultrasound, nuclear cardiology imaging, nerve conduction and laboratory testing in physician’s offices, MHS provides the technology to transform your outpatient medical office into a modern-day outpatient diagnostic testing facility. Early detection—before your patients become symptomatic. MHS offers full or part-time office-based medical services programs that help physicians dramatically reduce the number of referrals to specialists and hospitals, benefiting your patients , your practice and your contracted health insurance companies. We come to physicians’ outpatient offices with the most sophisticated diagnostic testing equipment, accredited and trained technologists, and radio-pharmaceuticals, allowing patients to be imaged in the comfort and convenience of your own office—under your direct supervision—for the early detection of today’s leading silent killers: Coronary Artery Disease, Stroke, Cancer, Diabetes, Arterial and Venous disease and blockages. Make sure your patients never overpay for testing again. As an extension of your staff, MHS is a direct reflection of the quality of the continuation of care and outpatient service you provide, your level of professionalism, and the quality of your medical services—not to mention making sure your patients receive the most competitive pricing available throughout the Tri-State region. Prices for healthcare procedures vary by 500% or more—even within the same insurance network. This is extremely important, as patients today have large deductibles with climbing co-insurance responsibilities. Adding to the problem—until they get a bill, patients are usually not aware of the separate, higher fees for routine, outpatient tests. The Pittsburgh Business Times, for example, reports that list prices for an annual blood cholesterol test range between $18 and $266. You have to ask yourself, if the nature of the test is identical, why does it cost more money? Same test. Same quality. Same outcome. More than 14 times the price. Our accredited technicians arrive, unload our state-of-the-art equipment and greet your patients. The patient studies are performed by our cross-trained, expert technologists. Quality clinical results are uploaded to our PACs system and interpreted by our certified specialist. Positive, STAT results are delivered on-site, and quality reports are ready for your review within 24-48 hours. MHS offers testing solutions that allow you, the physician, to leverage your time, coordination of care, and practice revenue potential without the financial burdens of equipment purchases, leases, staffing, and lengthy and expensive accreditation processes. Our goal is to empower physicians to practice and exercise medicine in the way of the future. Please contact us at 800-443-2035, ext. 104, to schedule your free, in-office consultation, where you will receive all of the answers you need.